Explore the efficient, affordable, and extremely reliable 2015 Honda Civic Coupe at Patty Peck Honda, our Jackson MS area Honda dealer. We are sure that all brand fans will fully take advantage of everything that this coupe has to offer. From fuel efficiency to safety to the technology that you desire, this used model just may be exactly what you’re looking for. Possessing a sporty, bolder style than last year’s model, the striking front grille and headlights adorn the front end, while stylish tail lights are sure to make you stand out from behind. Add the stylish wheels and you’ve got the sleekest Civic Coupe to hit the roads. With the countless technological innovations and illustrious, race-inspired engines, the brand has always whizzed ahead of the curve. 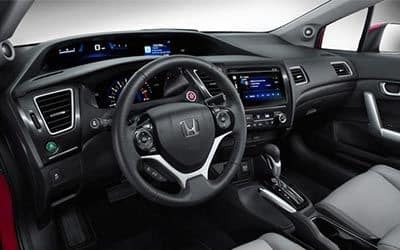 Powered by the 1.8L, 16-valve, SOHC i-VTEC® engine that produces 143 horsepower, you can experience state-of-the-art technology. Honda’s Earth Dreams Technology™ continuously variable transmission (CVT) provides a thrilling driving experience. This system allows the engine to operate at the most efficient RPM level, enabling maximum efficiency. This model has soared above and beyond all other cars in its class as its price remains affordable, especially when you buy a used model, yet it offers premium features that are irresistible. Sporting an even bolder and sleeker style, this model shows off its new grille and taillights as it struts down streets and dashes across the highways. Jackson area Honda fans can enjoy this Accord Coupe as it is as safe as it is stylish. With an overarching slew of safety features, you don’t have to cower behind the wheel. The dual-stage multiple-threshold front airbags, SmartVent® front side airbags, and side curtain airbags will help reduce the likelihood of head and upper body injuries during collisions. Every Accord, Coupe or not, features a standard rearview camera to ensure that moving in reverse is an easy task. 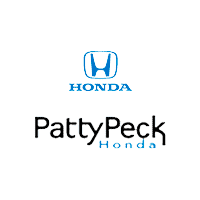 Jackson MS area Honda fans can drive with peace of mind as the brand is so dedicated to safety for everyone, not only drivers and passengers, but also for other vehicle occupants, and injury mitigation for pedestrians. The Advanced Compatibility Engineering™ (ACE™) Body Structure, designed to enhance occupant protection and crash compatibility, helps transfer crash-energy away from the occupants. The Dual-Stage, Multiple-Threshold Front Airbags (SRS), along with the SmartVent® Front Side Airbags and Side Curtain Airbags with Rollover Sensors, will further ensure the occupants’ safety as they were dynamically designed for optimized safety. Visit us at our Ridgeland Honda dealership to get better acquainted with the used 2015 Civic Coupe. For more information, contact us at (601) 957-3400.